To me, this book shows the folly of restricting/cutting the National Defense. Having our laws applied to people that want to end us. I believe one must read this book and form one's opinion. It'll keep you reading past bed time. Like John Grisham(my favorite author) I have become to appreciate Vince Flynn's work. I'm again surprised by the insight he has on the CIA and the goings in Washington. Suspense from beginning till the end. Higly recommended and looking forward to another one of his novels. Typical Vince Flynn/Mitch Rapp book. Interesting, exciting, entertaining, what else does one need from a book? There is not a book he has written that I can say I did not enjoy. The main character of his books Mitch is fascinating. His exploits engaging and on the edge. I enjoy how he uses each person in the book to add intrigue to the storyline. Most of the stories are so today. Keep up the good work Mr Flynn and I will continue to be a reading fan. 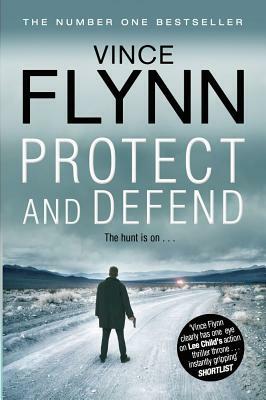 VINCE FLYNN HAS DONE IT AGAIN - ANOTHER GREAT BOOK.